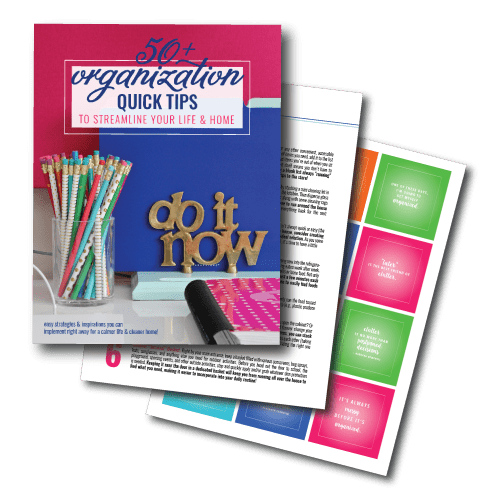 Most of my printable projects start with an organizational problem: some area of my home or life is messy, so I decide to get it in shape. 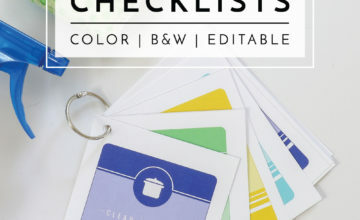 More often than not, I determine along the way that a printable will help so I set out to create some helpful files to make/keep that problem under control. This week, however, my process was reversed! 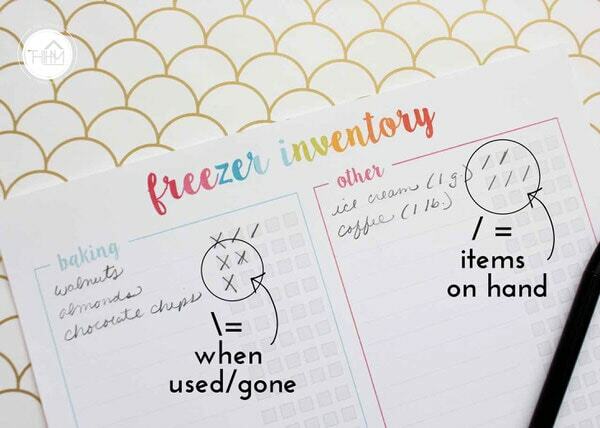 Quite a few of you asked me for a freezer inventory printable in the Reader Survey; and as usual, I was happy to oblige. 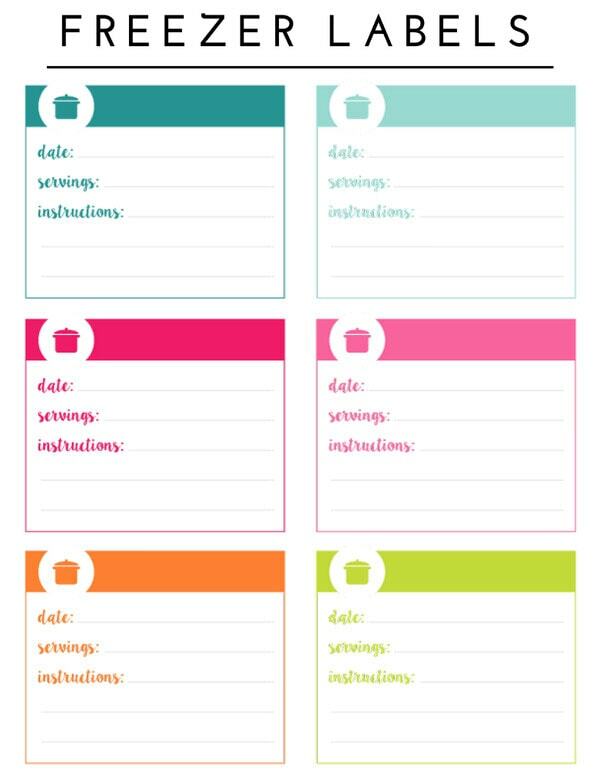 And while I didn’t intend for them to, these fun printables inspired me to do a mini clean out of our freezer and get it better organized. 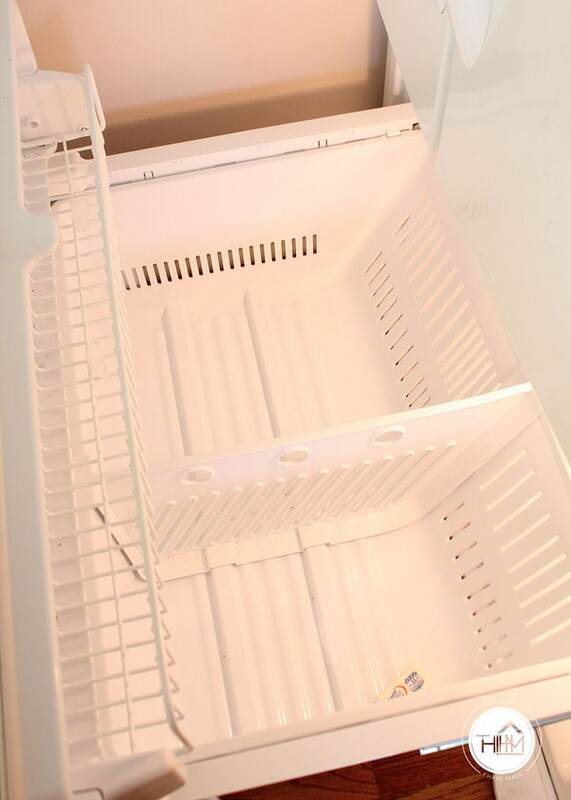 So today, I’m sharing my Freezer Organizing Kit and giving a brief tour of our newly-organized freezer. Let’s get to it! Admittedly, a freezer inventory was not something I found myself needing/wanting. We don’t tend to store a lot in our freezer (as you will soon see), and I can usually keep pretty good visibility on what we have/don’t have. However, I acknowledge that a lot of people put their freezers to work much more than we do, and I can see how a quick-access inventory could really come in handy. 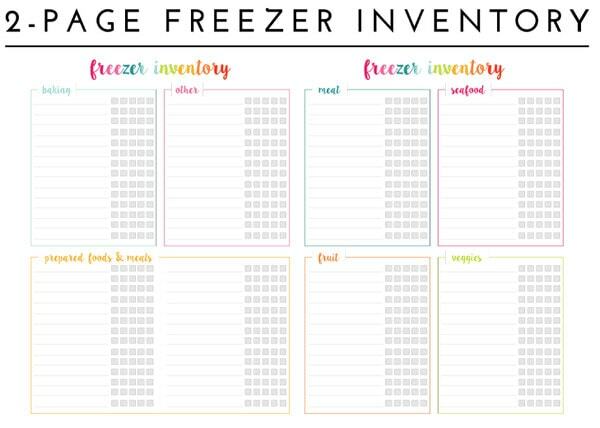 After researching what type of information would be most helpful on a freezer inventory, I set out to make a set that is hopefully flexible enough to accommodate most households! 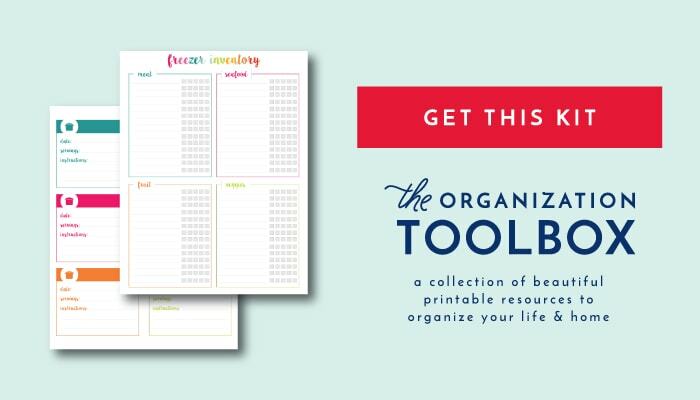 And of course, everything is designed to match the other printables I’ve created in recent weeks! 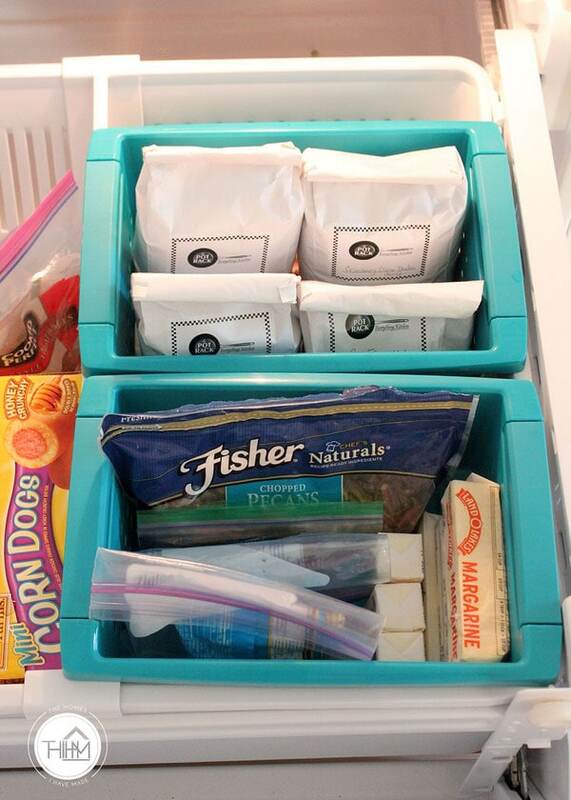 The Freezer Organization Kit includes three printable pages. 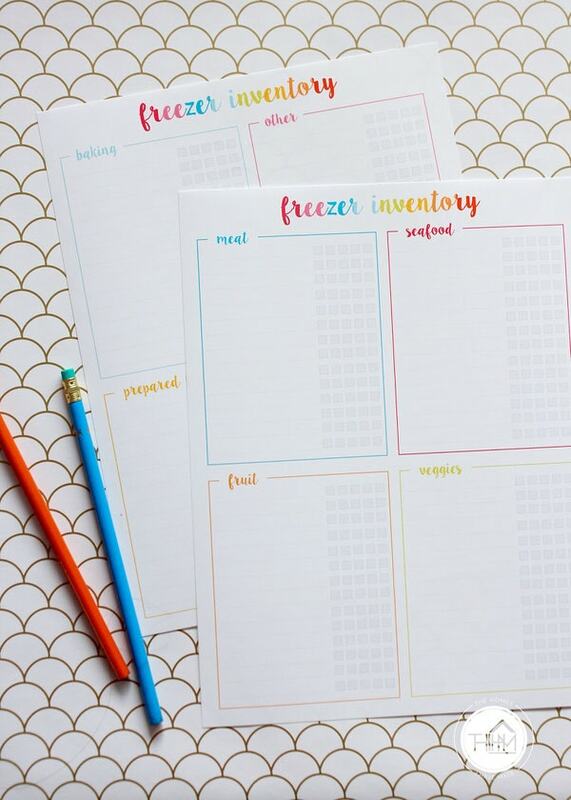 The freezer inventory spreads across two sheets (that I would print front/back) and has categories for meat, seafood, fruit, veggies, baking, other, and prepared food & meals. 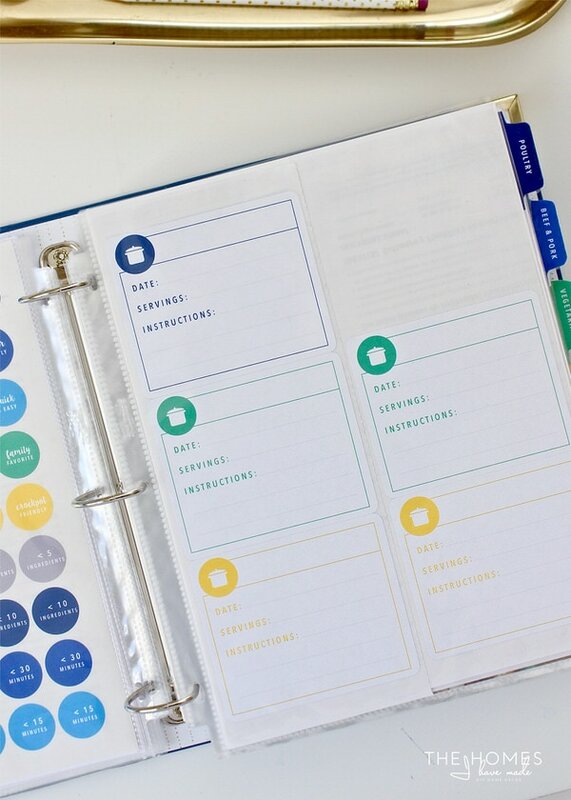 Each category has ample lines and boxes for checking off (I’ll show you how to use them below!). 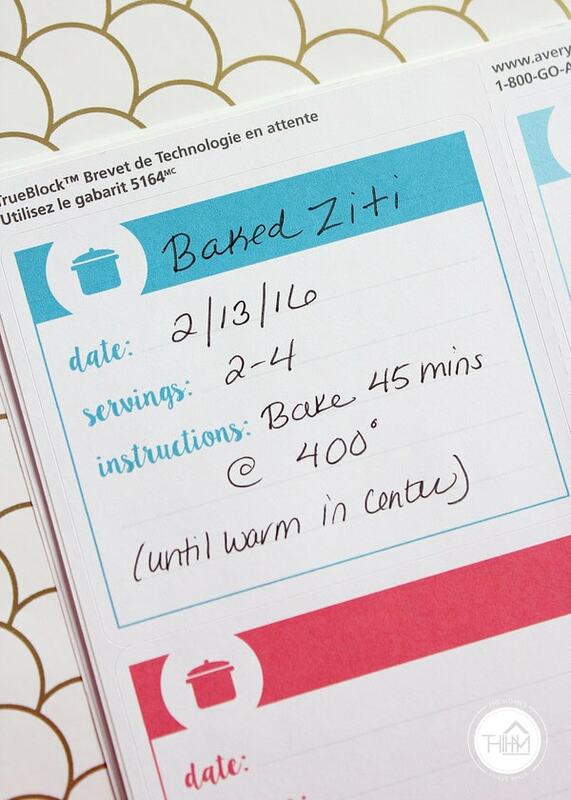 I also created some freezer labels, and I am SUPER excited about these. These freezer labels include a place to write in the dish name, date prepared/frozen, servings, and re-heating instructions. 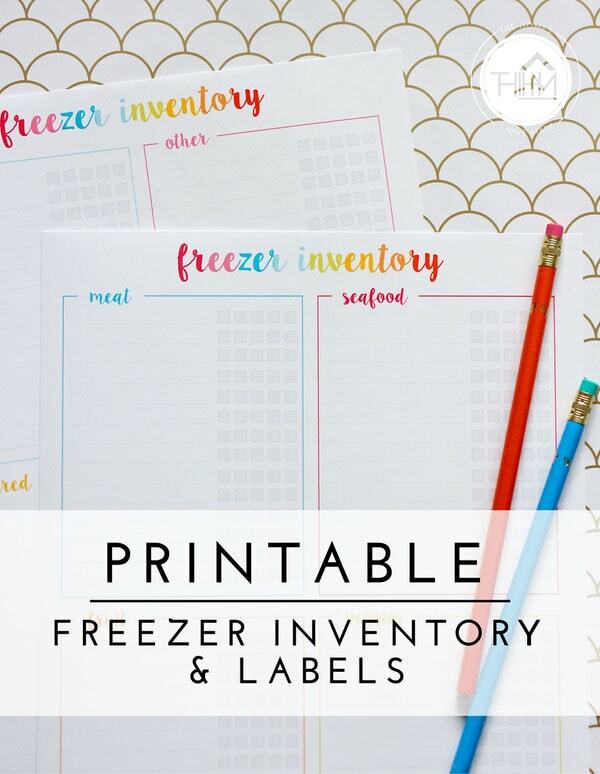 To use the freezer inventory, print the file onto heavy-weight paper or cardstock (you can even laminate or cover in contact paper for a dry-erase option if you wish!). 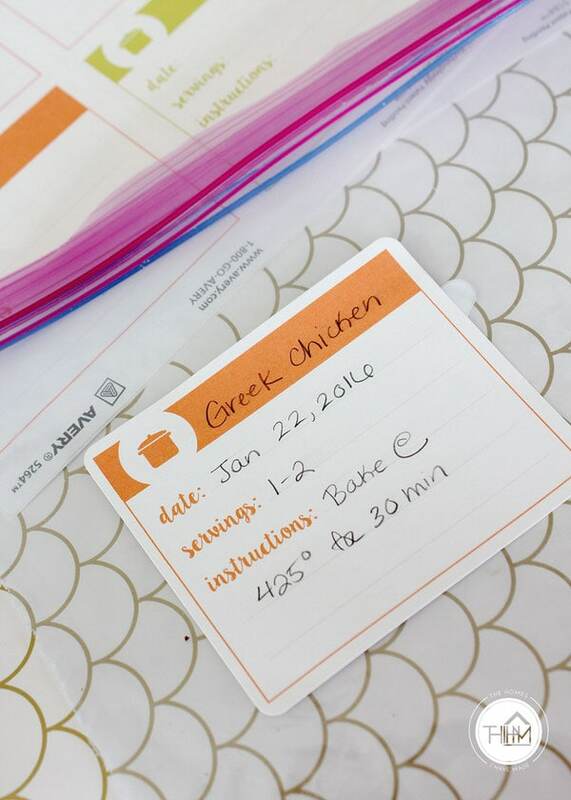 Record everything in your freezer into the correct category on the inventory sheet, notating the serving size for each item. In the light grey boxes, place a ( / ) symbol to represent each serving that you have on hand. When you use an item/serving, place a ( \ ) in the box to create an ( X ). Once all your ( / ) marks are turned into ( X ), it’s time to go shopping! Continue using the squares/lines until your sheet is full. Then print off a new one and start over! As I’ve mentioned a few times, I like to make my printables as user-friendly as possible. You can surely print these files on any kind of paper and use them in any manner that makes sense for you. But to make these a quick, peel-and-stick option, I designed the labels to fit on AVERY 5264 Mailing Labels . …and secure right to your freezer container! 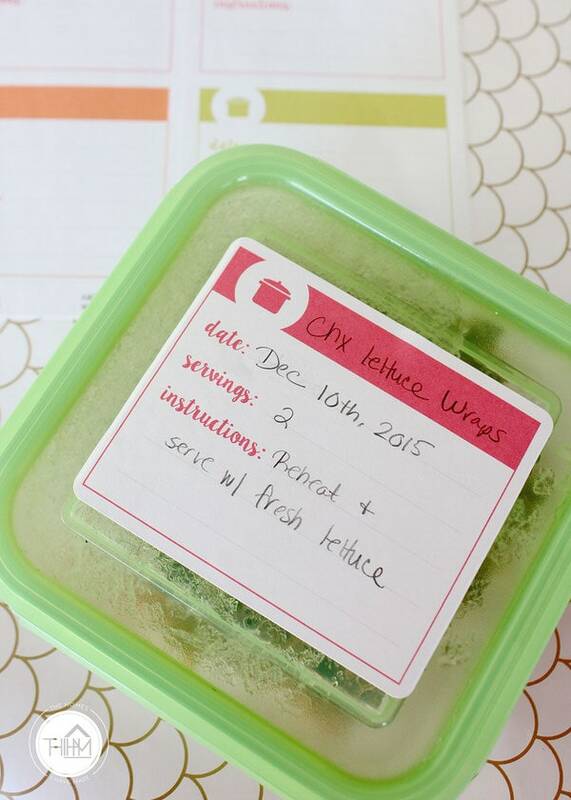 These labels are perfect for securing right to a Ziplock bag, casserole dish, or any other freezer-friendly container! Not only are they great for things going into your freezer, but if you are making dishes for family/friends, these are a great way to note the cooking details! I printed off a bunch of sheets and now have them tucked into my kitchen binder. 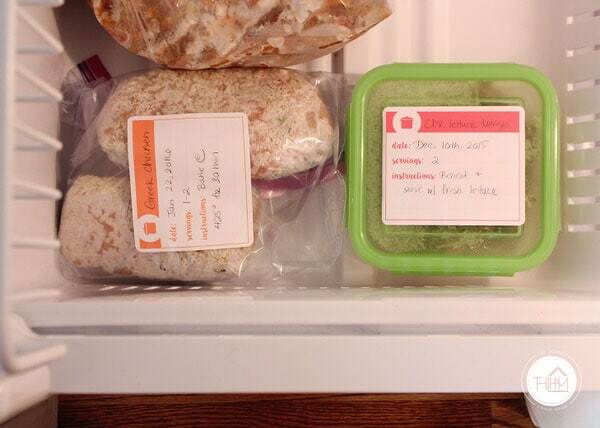 I couldn’t wait to get them into use though and added them right to two containers that were unlabeled in my freezer! 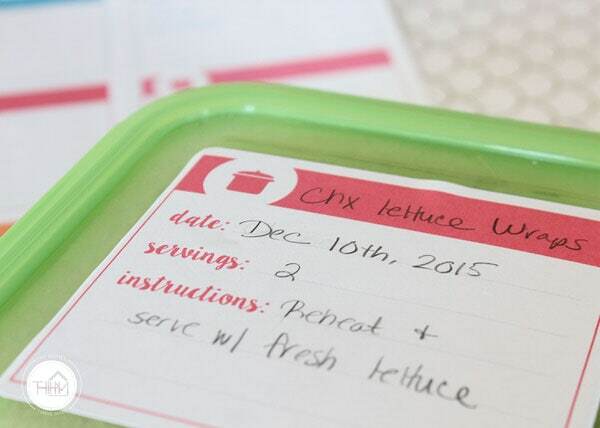 No more hard-to-read handwriting or trying to figure out what’s in the mystery tupperware! 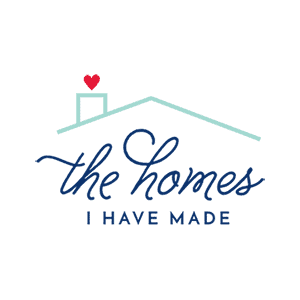 I started like I do every project. I emptied out the freezer and gave it a good wipe down. 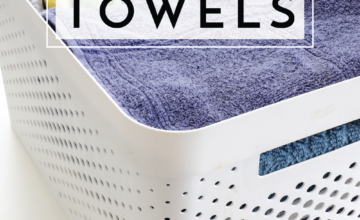 You guys know I like to contain everything into dedicated bins/baskets that fit a space just right. In this case, however, I just couldn’t bring myself to go buy new containers to fit this freezer (for just a few more months), so I instead went shopping in my garage stash. While not perfect, I did find two baskets from Target that would allow me to make some more space and create some new compartments quite well! These baskets are able to sit right on top of the divider and side rail to hold our coffee bean stash and baking supplies. Having these out from floating around the bottom of the drawer is so awesome! Underneath the baskets is where I am keeping leftovers (as shown a few photos up); and on the left side of the drawer, I have our prepared/kiddie foods as well as a basket dedicated to meats. I shop weekly for our groceries and don’t tend to keep too much on hand. And as you can see from these pictures, it’s clearly time to go shopping! 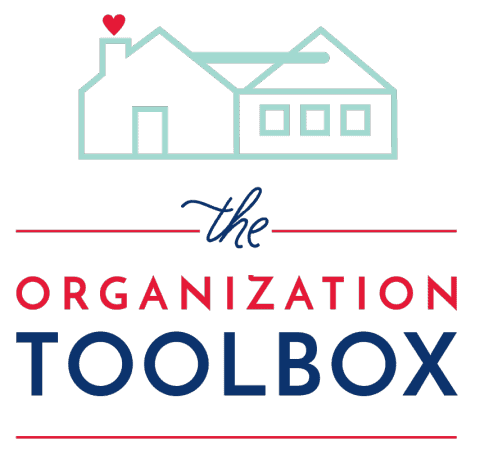 This Freezer Inventory Kit it has been uploaded to The Organization Toolbox and is available for download right now! 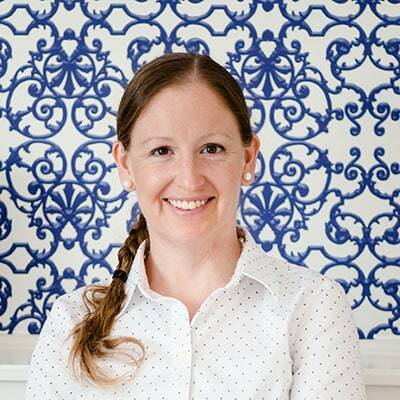 So tell me…do you put your freezer to work? 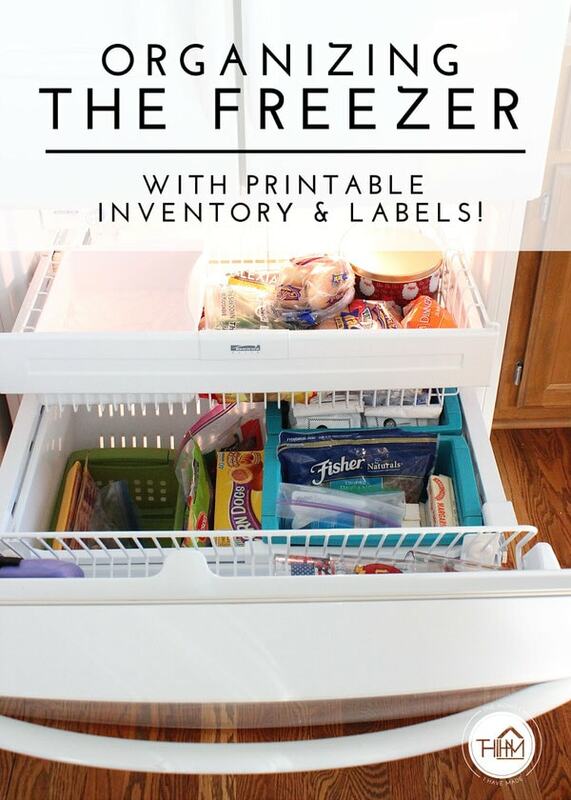 Is a freezer inventory something you’d use? 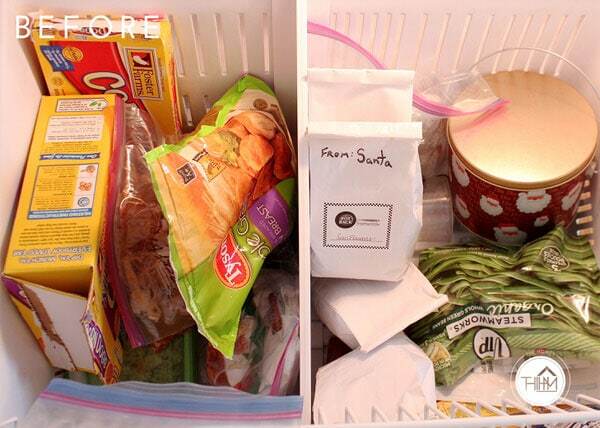 How do you keep items from being buried and lost in your freezer? Do tell in the comments! I hope your week is off to a great start! After a holiday weekend, I’m scrambling a bit to catch up! 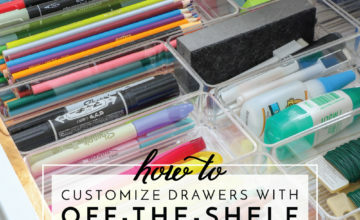 However, on Thursday, I’ll have makeover #2 on my IKEA Tarva dresser! See you then! P.S. 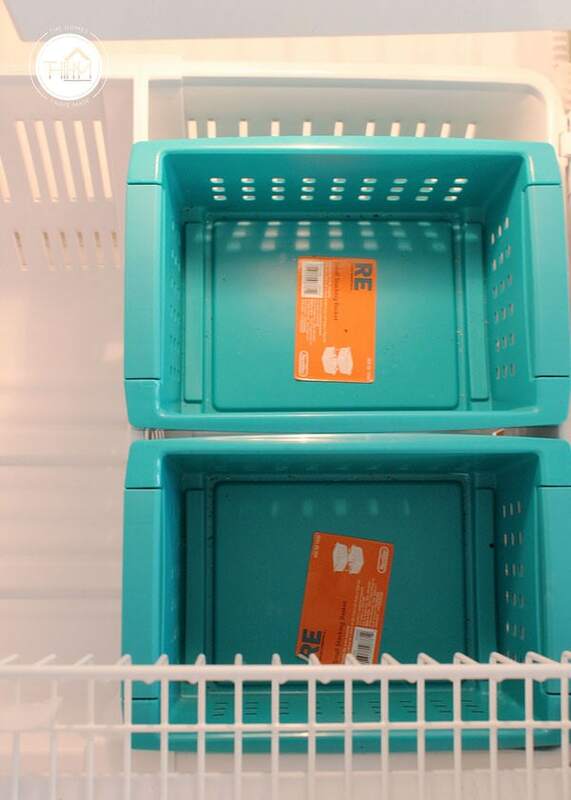 These freezer inventories have also been expanded and created in a new color scheme. Click here for more details! 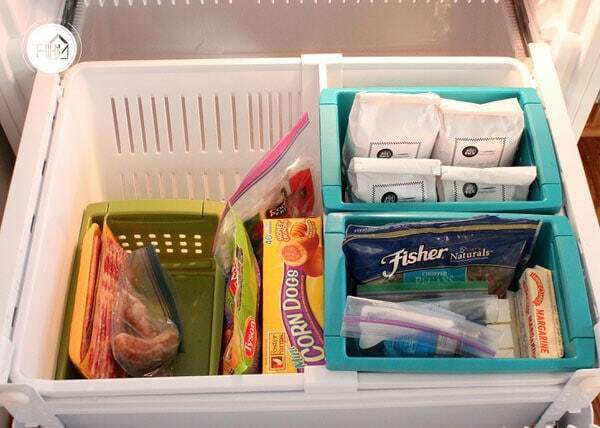 This is awesome, as I tend to put my freezer to good use. I tend to shop for meat and check the almost to sell by date meat every time I am at the grocery store. I like to give my kids a variety of meat to try. So we have pork chops and beef steaks and ribs hanging out in the fridge. This will come in handy. Thank you for putting this together! Happy weekend to you! 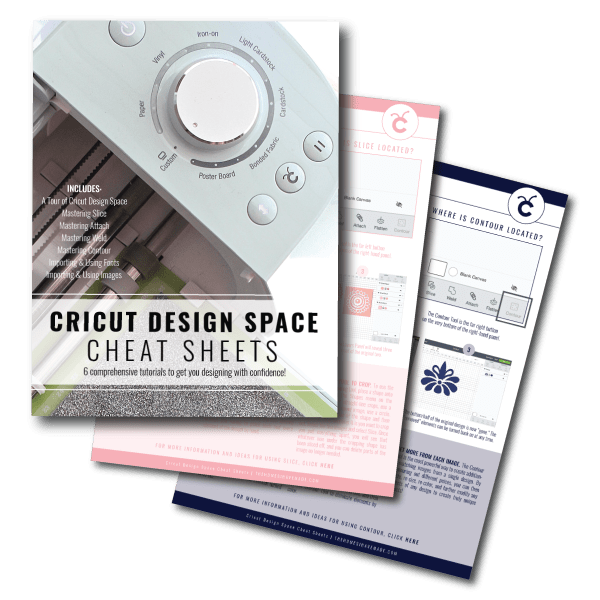 I hope this document is handy for you! I know so many people really use their freezer a lot…and when we live in places for longer than a few months, we do too. Right now, I’m trying not to stock up too much because then we will end up throwing a lot of it away when we move. I want to get more into freezer meals so hopefully these prints will come in handy for me down the road! 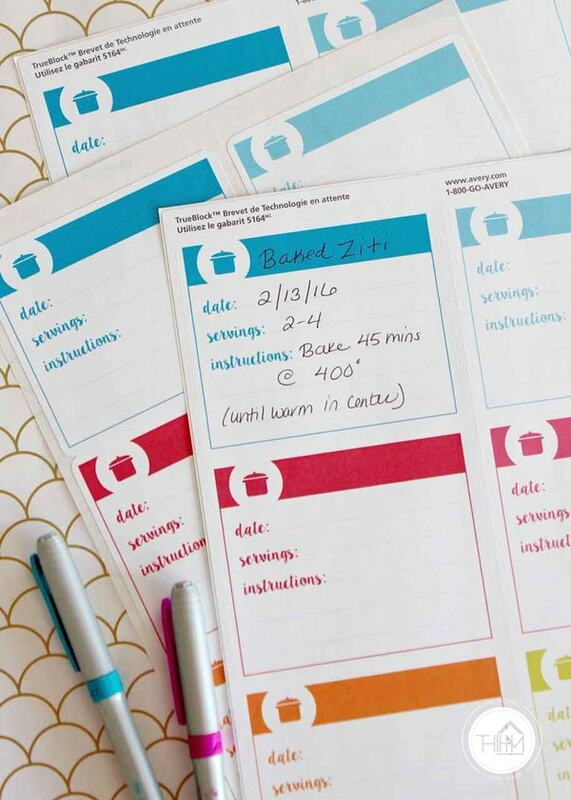 These labels are such a great idea! Of course the inventory is nice too but as you, I don’t put a lot of things in the freezer so it would be less convenient for me. By the way I love your handwriting, mine is so awful. I’m just wondering if we could find the Avery labels in France. I must wait to go to see what is inside my freezer as it stands in our garage which is really cold these days. It’s really the same with my washing machine as I told you months ago, imagine I must wear a coat to go and use it ! I followed your blog silently for a while now. Thanks again for this great idea and the free templates!